Effective health surveillance and risk assessment and management are key to preventing and mitigating hand-arm vibration. 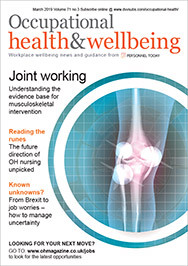 But occupational health also has a pivotal role to play in terms of understanding and evaluating the outcome of these assessments, and providing the leadership to create a collaborative, co-ordinated approach, as Anne Harriss and Nancy Njuguna explain. Handheld and hand-guided powered tools are used in many organisations; some regularly expose workers to high levels of hand-arm vibration (HAV). Sustained exposure is associated with permanent effects on anatomical structures in the hands and arms, which may lead to hand-arm vibration syndrome (HAVS) that impacts on both quality of life and work performance (Jordan et al, 2005; House et al, 2014). Significant compensation and costs are associated with HAVS. For example, Thanet District Council was fined £2.5 million for failing to protect workers against HAV related diseases in 2016. Organisations could also face prosecution. In 2012 Audio Medical Services (AMS) was prosecuted by the HSE for using staff lacking proper qualifications for HAVS health surveillance. AMS did not refer employees to OH professionals when required, neither did it provide employers with adequate information enabling them to comply with their duty of care and prevent further deterioration of workers’ health (Personnel Today, 2012). The company admitted failing to ensure that individuals were not exposed to health and safety risks and to putting people at potentially increased risk of permanent disability by inappropriately managing their HAVS health surveillance. Effective control measures and early symptom recognition are key to reducing health ill-effects (Mason et al, 2005). The Control of Vibration at Work Regulations 2005 require employers to assess and control the transmission of vibration from work processes and power tools to workers’ hands, arms and fingers (Harada and Mahbub, 2008). The use of power tools for cutting, drilling, grinding is generally associated with construction, demolition, forestry and industrial settings. However, powered tools are also commonly used in healthcare, particularly within plaster rooms, dental and orthopaedic surgery (Aw et al, 2008). A survey of orthopaedic surgeons indicated that some exhibited symptoms of HAVS from their use of power tools and, yet, these incidents were under reported (Roberts et al, 2007). The neurosensory, circulatory and musculoskeletal effects associated with regular prolonged exposure of vibration on the hands and arms are well documented (Jordan et al, 2005). In severe cases the worker may be diagnosed with HAVS, symptoms of which include tingling, paraesthesia and digit blanching (Heaver et al, 2011). Smoking, treatment with beta-blockers and exposure to cold exacerbate these symptoms. Reduced dexterity is common and may be exacerbated by musculoskeletal effects including Dupuytren’s contracture and vibration-related carpal tunnel syndrome (Cookie, 2013). The Management of Health and Safety at Work Regulations (1999) require all employers to undertake a general risk assessment. For workers exposed to vibration, the Control of Vibration at Work Regulations 2005 require further vibration-specific risk assessments. The HSE’s five steps to risk assessment can be used, which involves the following steps. Measuring and recording vibration exposure by a competent person. Information about the tasks at-risk employees undertake should be recorded. They should be observed when carrying out their tasks as their posture and techniques may increase their vibration exposure. Employees with existing health problems including back problems, HAVS or other conditions affecting the hands, arms, wrists or shoulders will be at increased risk. Ergonomic principles should be taken into account when designing work processes and selecting tools. Poor design of equipment coupled with awkward working positions may intensify the effects on the hands and arms. Workers should use the correct tools for their tasks. Tools that put workers at risk should be replaced with alternatives that produce lower magnitudes of vibration. Vibration exposure should be kept as low as reasonably practicable even when exposure is below the HSE-specified action level. Other than for occasional, emergency work, personal vibration exposure must not exceed the limit set by the Control of Vibration at Work Regulations (2005) and detailed later in this article. The effectiveness of control measures should be evaluated and recorded, should workers be exposed to vibration that meets or exceeds action and limit values. The time workers are carrying out high-risk tasks should be reduced to lower their vibration exposure. This can be done through job rotation and ensuring regular breaks are taken. Suitable training and information for all those exposed to vibration should be provided. These should include the need to participate in health surveillance programmes and how to recognise and report the health effects of vibration. The control measures should be recorded. Should improvements be necessary, an action plan with further control measures should be made. Line managers should regularly evaluate the effectiveness of control measures. Risk assessments should be reviewed at least annually, or when there are changes to work processes that may affect vibration exposure. Employers must calculate vibration exposure, control risks and arrange health surveillance. The regulations set a daily exposure action value (EAV) and an exposure limit value (ELV), which are calculated over the equivalent of an eight-hour working day. Once the action value of 2.5 m/s2 A (8) is reached, the employer must act to reduce exposure and ensure control measures are in place (HSE, 2005). The exposure limit value of 5m/s2 A (8) must not be exceeded on any single day. Unlike the Control of Noise at Work Regulations (2005) there are no formal weekly exposure action and limit values. However, in emergency situations, such as responses to serious incidents, weekly averaging of daily exposures is allowable under the proviso that daily exposures remain below the ELV and, on most days, exposures remain below the EAV. Once the exposure limit is reached, control measures must be reviewed and improved (HSE, 2005). OH professionals must be able to provide general advice on exposure control and early recognition of HAVS symptoms (Mason et al, 2005). Once diagnosed, HAVS is reportable under Reporting of Injuries, Diseases and Dangerous Occurrences Regulations 1995. Those with HAVS are able to claim Industrial Injuries Disablement Benefit, reflecting the significance of this disabling condition. A systematic review and meta-analysis of scientific literature indicate that workers using vibrating tools have a four- to five-fold increase in vascular and neurological conditions, compared to those not using vibrating tools (Nilsson et al, 2017). Vascular damage to one or more fingers largely presents a peripheral component disease recognised as vibration white finger (VWF) (Ormiston, 2013). Damage may generally be unnoticeable during the initial stages and in mild cases symptoms are intermittent and only affect the fingertips. However, with continued exposure the frequency of attacks increases and the effects become more obvious (HSE, 2013). The initial VWF symptom for VWF is episodic finger blanching, resulting from vasospasm. Colour change in the figures reflects vascular changes: pallor resulting from tissue hypoxia, blue discolouration from deoxygenation and redness which occurs following reperfusion (Murphy et al, 2000). Tissue ischemia may result from severe spasms once vasoconstriction results in vessel occlusion. Restoration of blood circulation may occur spontaneously or after finger re-warming. Although vascular damage primarily relates to vibration exposure, attacks may be exacerbated in cold, wet conditions. However, in warm working environments blanching may be less noticeable. Studies into the effects of cold and vibration exposure concluded that finger coldness indicates early signs of damage to intra-neural vessels and it is the reduced blood supply to peripheral nerves that leads to neurological effects (Carlsson, 2017). Many occupations in construction, highway repair, forestry and agriculture regularly use vibrating tools in cold and wet environments (Palmer et al, 2000). Preventative measures should consider reducing both vibration and cold exposure. Carpal tunnel syndrome is also associated with hand-arm vibration exposure. Symptom onset is generally gradual and includes hand pain and weakness. The resulting median nerve damage affects the sense of touch, dexterity and grip strength and workers may experience numbness and tingling sensations of the thumb, index and middle fingers (Burke et al, 2005). Symptoms may worsen at night, leading to disturbed sleep. The musculoskeletal effects are complex. Uncomfortable hand positions, use of a tight grip and excessive pushing contribute to joint and muscle damage, those with metabolic disorders including diabetes are at increased risk. Generally neurological symptoms appear earlier than finger blanching and a worker suffering from HAVS may not experience every symptom. Vascular symptoms can be present in the absence of neurological problems and vice versa. Unsurprisingly, upper extremity pain associated with HAVS impacts on the quality of life. Functional difficulties can affect their ability to perform work tasks and daily activities including dressing, as sufferers have difficulty grasping small objects such as buttons. From a social perspective, HAVS may affect the ability to pursue hobbies, such as gardening and sport (Poole and Mason, 2008). There may be a need to modify social activities and occupation (Poole and Mason, 2005). Regulation 7 of the Control of Vibration at Work Regulations 2005 requires that health surveillance is provided where the exposure action value of 2.5 m/s2 A (8) has been reached (HSE, 2005). Effective health surveillance identifies work-related pathological changes at an early stage and aims to prevent workers from developing HAVS-associated disabilities. Although not the primary purpose, health surveillance provides a further check on the effectiveness of control measures (HSE, 2012). Comprehensive guidance on the five tier approach of HAVS health surveillance is available on the HSE website and in the Control of Vibration at Work Regulations 2005 Guidance on Regulations. Tiers 1 and 2 incorporate baseline then annual surveillance by a competent person. This person may be non-clinical or an OH nurse or technician. Should signs of abnormal pathology be detected a tier 3 assessment is required and should be undertaken by OH medical/nursing professionals who have completed formal training in HAVS surveillance. Tier 3 assessment confirms whether the employee can continue to work on “at-risk” processes. For those with symptoms suggesting HAVS, a further medical assessment (tier 4) is then required. This fourth tier involves a detailed clinical assessment noting past medical history and medication and a formal diagnosis can be made at this point. This may precipitate an optional fifth tier incorporating laboratory testing. The OH qualifications for nurses and doctors involved in tiers 3 and 4 of HAVS health surveillance are detailed in The Control of Vibration at Work Regulations (2005). Nurses require an OH qualification and doctors should be associates or members of the Faculty of Occupational Medicine (FOM). Both nurses and doctors also require FOM-approved HAVS certification. Evaluating and recording the risks and employee exposure: the employer must identify high, medium and low-risk tasks by evaluating vibration magnitude. Colour coding equipment and work plans alert users to the risks. Activities considered high risk must be prioritised for action. Implementing control measures to reduce exposure: This commences when work processes are planned and equipment is procured. High quality tools that limit the amount of vibration should be purchases and supplemented with regular maintenance. Alternative processes that eliminate, or at least reduce, the use of vibrating tools may be required. Engineering controls are always the first priority but issuing anti-vibratory gloves and warm clothing is also important. Worker posture and the manner in which they operate and use plant, particularly how they grip and the level of force to the tools, can influence the level of vibration transmitted into their hands and arms (Edwards and Holt, 2006). Managers, supervisors, workers and safety representatives must be fully aware of the effect of vibration and appropriate control measures. Provision of information and training for the workforce are also key to exposure reduction and should incorporate the safe use of tools, the importance of regular risk assessments, the need for early reporting of HAVS symptoms and how they access health surveillance schedules. Toolbox talks are an excellent way to communicate this. The vascular effects HAVS can be halted once exposure is reduced. 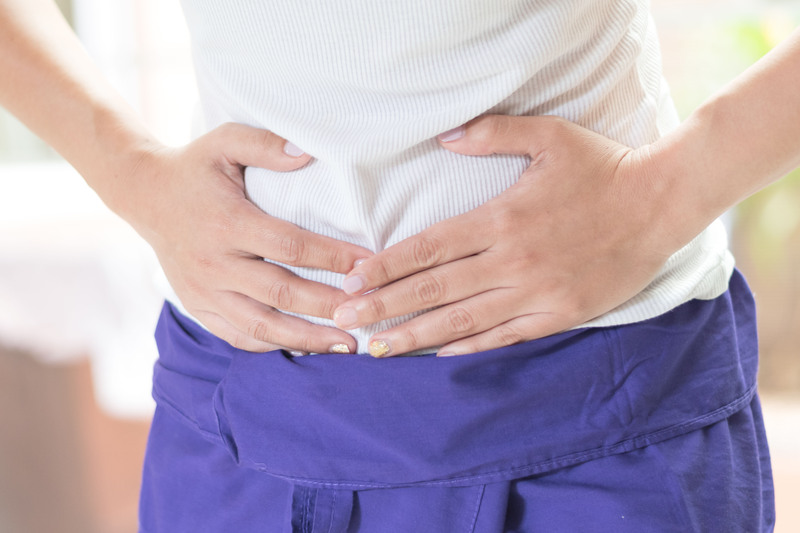 But this may occur over a long period depending on the age of the individual and symptom severity. The apparent reversibility may reflect modifications to lifestyle, work processes and equipment, however, there is little reliable evidence to indicate reversibility of the neurosensory condition (HSE, 2015). Managers are responsible for ensuring risk assessments are undertaken. They must ensure that any of their workers exposed to vibration are subject to health surveillance to identify hand and arm pain and symptoms suggestive of musculoskeletal, vascular and neurological changes. OH staff must understand the outcome of those risk assessments, as this indicates when health surveillance is required. Time spent with workers when undertaking health surveillance provides valuable opportunities for discussions on how the effects of vibration on health can be avoided. A coordinated approach involving managers, workers and occupational health professionals is essential in preventing or at least minimising vibration exposure. Aw, T-C, Gardiner, K, and Harrington, M. (2008) Pocket Consultant: Occupational Health 5th (ed). Oxford: Blackwell Publishing. Burke, F D, Lawson, I J, MCGeoch, K L, Miles, J N V, Proud, G. (2005) Carpal tunnel syndrome in association with hand arm vibration syndrome: A review of claimant seeking compensation in the mining industry. Journal of Hand Surgery Europe, 30: 199-203. Cookie, R. (2013) Carpal tunnel syndrome: Clinical diagnosis and management. Occupational Health at Work; 10 (2): 24-27. Harada, N, Mahbub, M. H. (2008) Diagnosis of Vascular injuries caused by hand-transmitted vibration. International Archives of Occupational and Environmental Health; 81(5)507-18. Health and Safety Executive. (2005) Hand-arm vibration: The Control of Vibration at Work Regulations 2005 Guidance on Regulations. Richmond Surrey: HSE Books. House, R, Wills, M., Liss, G, Switzer-McIntyre., S, Lander, L, Jiang, D. (2014) The effect of hand-arm vibration syndrome on quality of life. Occupational Medicine, Volume 64, Issue 2, 1 march, pages 133-135. Mason, H, Poole, K, Elms, J. (2005) Upper limb disability in HAVS cases-how it relates to the neurosensory or vascular element of HAVS. Occupational Medicine, 55: pp. 389-392. Murphy J V, Banwell, P E, Roberts, A H. (2000) Frostbite: Pathogenesis and Treatment. The Journal of Trauma and Acute Care Surgery 48(1): pp. 171-178. Nilsson, T, Wahlsr?m, J, Burnr?m, L. (2017) Hand-arm vibration and the risk of vascular and neurological diseases – A systematic review and meta-analysis. PLoS ONE, 12(7),e0180795. Available from https://doi.org/10.1371/journal.pone.0180795. Roberts, S C, Harrild, K, Mollison, J, Murhy, E, Ashcorft, G P. (2007) Comparison of sensorineural systems between UK orthopaedic surgeons and gynaecologists, Occupational Medicine (Lond) 57(2): 104-11. 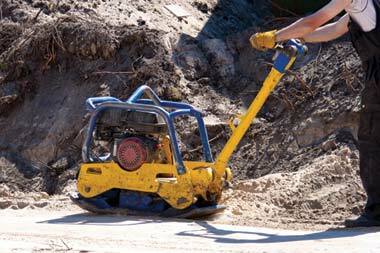 Great step by step advice on how to minimise the risks of Hand-Arm Vibration. Effective management and control measures protect workers against HAV-related disease and businesses against litigation.